Our men and women in uniform sacrifice daily to serve our country. But what about the additional, voluntary sacrifice that each gay person in the military makes daily when they don their uniform? We ask these men and women to not only serve their country but serve in silence and denial, sacrificing not only their physical lives but their emotional ones too by denying them their right to love. 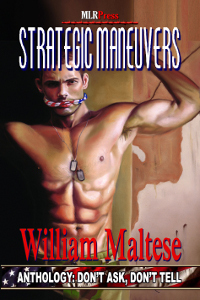 STRATEGIC MANEUVERS reveals the intricate steps that can lead to love while in uniform. This ebook has previously been released as part of an anthology.